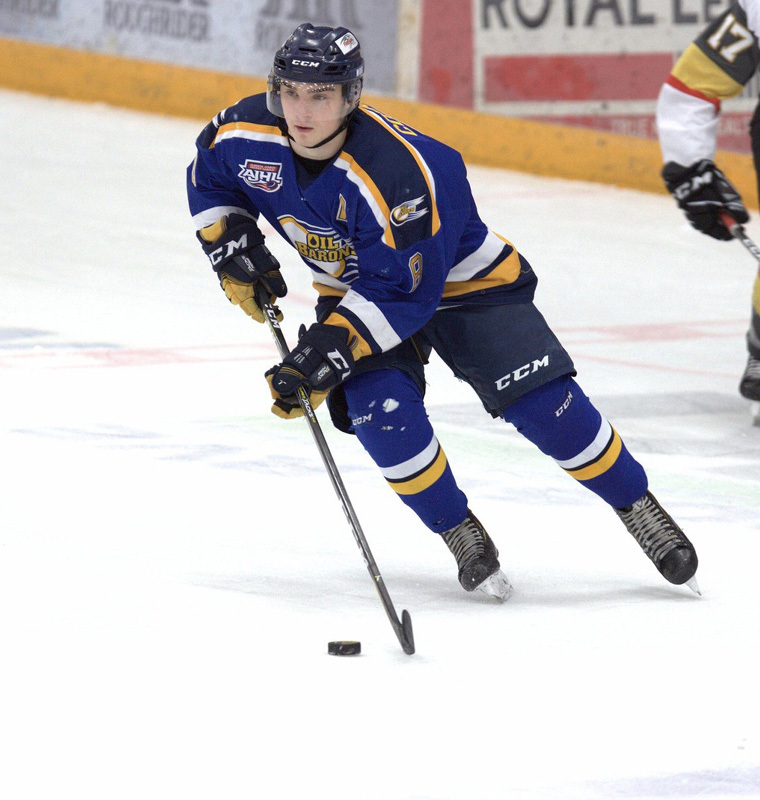 Chestermere athlete is progressing in his hockey career by moving from the Alberta Junior Hockey League (AJHL), to the National Collegiate Athletic Association (NCAA), with a scholarship to Yale University for the 2020 school year. 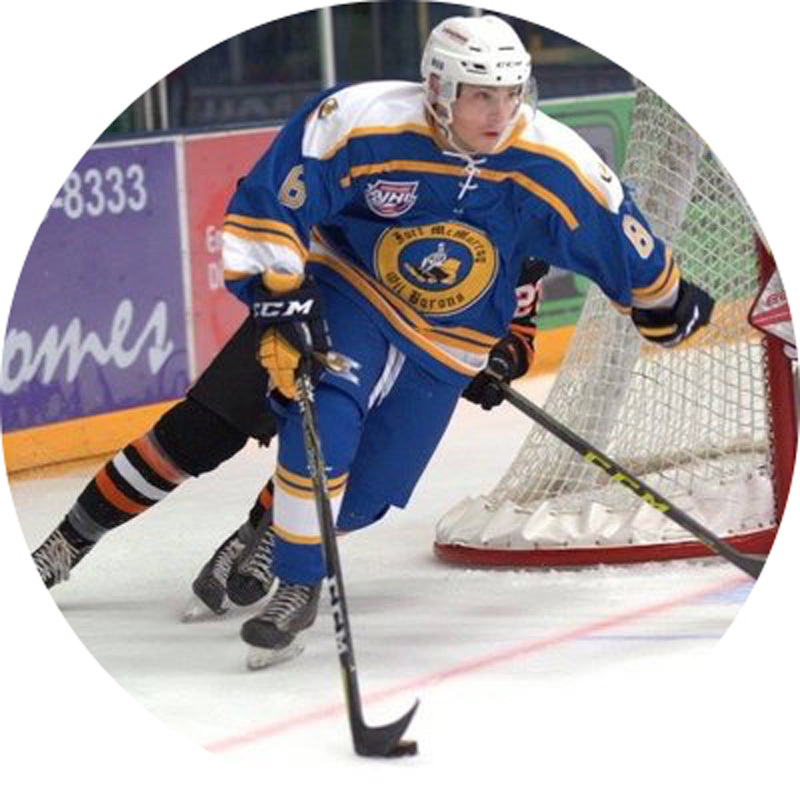 Ryan Conroy, who is currently a defensive player for the Fort MacMurray Oil Barons began getting scouted in October of last year. “I went to visit Yale’s campus. I had a great visit, loved the campus, the coaches, the rink, the atmosphere, everything about it,” Conroy said. When Conroy found out he received a hockey scholarship for Yale University he was in disbelief. “The thought about getting to go there and then play hockey on top of that, it’s honestly hard to comprehend. “At the same time, I’m extremely excited that I have such an amazing opportunity to be able to do this,” he said. Conroy’s general goal leading up to playing in the NCAA is to improve his game. He wants to step into the style of play and the pace of the league easily, while being an effective member of the team as soon as he steps onto the ice. “The biggest thing I’m looking forward to is the step up of intensity, and the seriousness of the level,” Conroy said. He added, the NCAA plays just over 30 games a season, compared to the 60-game AJHL season. “The games mean that much more,” he said. Conroy’s love for hockey first began when he was five-years-old and has continued full force throughout his life. “My dad’s really passionate about it, he passed that on to me, and my mom has also been involved in a lot of sports. They really installed the drive in me to pursue sports. “It just happened that hockey was what I liked the most,” Conroy said. Growing up Conroy began to love hockey after going to ice time at his father’s hockey camps, going to ice time with his friends, and playing mini sticks over at friend’s houses any chance he got. Despite constantly attending ice times, or playing mini sticks with friends, Conroy has had to overcome challenges at each point in his hockey journey to get to this point in his career. Conroy added, not making the teams that he had wanted to play for was always discouraging. “I attended the Canada West camp at the start of December, unfortunately I didn’t make that team. “That’s always disappointing, but at the same time that’s what makes you want to push even harder,” he said. Another challenge that Conroy has constantly had to overcome was being undersized. “People have a prejudice against a shorter d-man, especially since the traditional d-man is a little taller,” Conroy said. 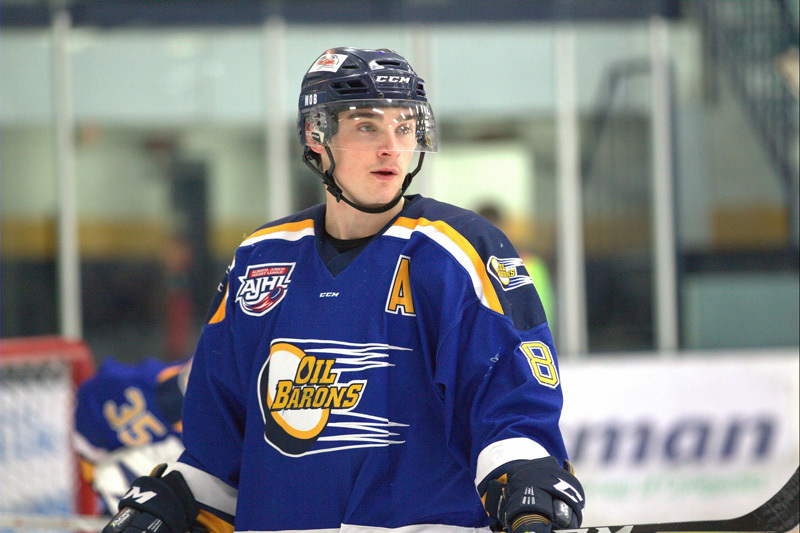 Head Coach of the Fort MacMurray Oil Barons Tom Keca said, despite Conroy being a smaller defensive player, he has set himself apart as one of the most competitive and toughest players in the league this year. “Conroy is an old-school type player, he is extremely physical, and hard-nosed,” Keca said. He added, “He played as a 16-year-old which is a testament to not only his ability as a hockey player, but his commitment to all the other things we ask our players to do. Conroy is an athlete who takes practices very seriously. He’s always wanting to get better, he’s constantly asking to do video sessions, and looking for any edge to make him the best hockey player he can possibly be, Keca said. Receiving a hockey scholarship to Yale University is a testament to not only Conroy’s commitment on the ice, but also in the classroom, Keca added. “It speaks volumes for the type of student he is. He’s going to be somebody that will not only develop in the NCAA as an athlete, but also as a student. “His future looks extremely bright,” Keca said. Conroy has always been more mature than other athletes his age, which has helped him progress in his hockey career. “That maturity has been the frame work for his hockey career,” said Conroy’s mother Connie Parchoma. “As a younger hockey player coming into the AJHL he’s had some pretty big shoes to fill, and all eyes are on him. He’s had to work hard to keep a spot, and prove himself,” Parchoma said. Without the support from his parents, and the continued encouragement from coaches and teammates progressing to the NCAA wouldn’t have been possible for Conroy. “Anything from the advice from my dad, the support of my mom, all of my coaches giving me feedback on plays or games, my teammates picking me up when I’m feeling down, all of that has been a huge part of getting me to where I am today. “Their support has brought me a long way,” Conroy said.